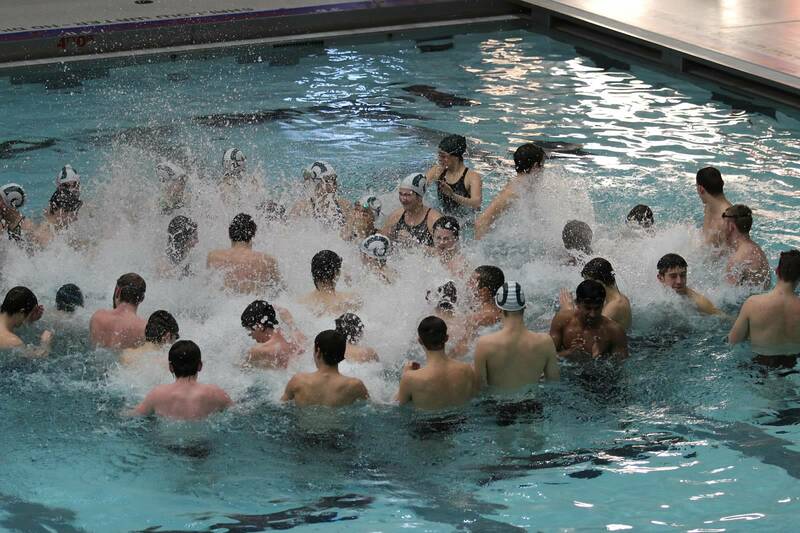 Congratulations to the CD Boys Swim Team on their historic 89 to 87 victory over Cumberland Valley. The boys swim team Beat Cumberland Valley for the first time in 40 years. Leading the charge with victories was Josh Yohe and Zach Ruth, but also scoring wins were key swims by Owen Davis, Carson Kahoe, Ricky Averill, and Josh Wisor. Numerous personal bests were established. Special mention goes out to Josh Yohe, Owen Davis, and Carson Kahoe who set the tone for the boys by taking first, second, and third place in sweeping the 200 freestyle race. Additional individual first places were scored by Josh Yohe in the 200 free and Zach Ruth in the 50 free. Finally, the boys took first in the 200 medley relay and the 200 freestyle relay which helped to secure the win. For the girls, Ashley Leisher finished first in the 50 and 100 free, and Autumn Fourtney finished first in the 100 fly. Ally Yoder and Autumn Fourtney broke into the top ten all-time lists. This entry was posted in Uncategorized and tagged CD Meet Results, Central Dauphin, Central Dauphin Swimming, Central Dauphin vs Cumberland Valley, Meet Results, Swim, Swims. Bookmark the permalink.